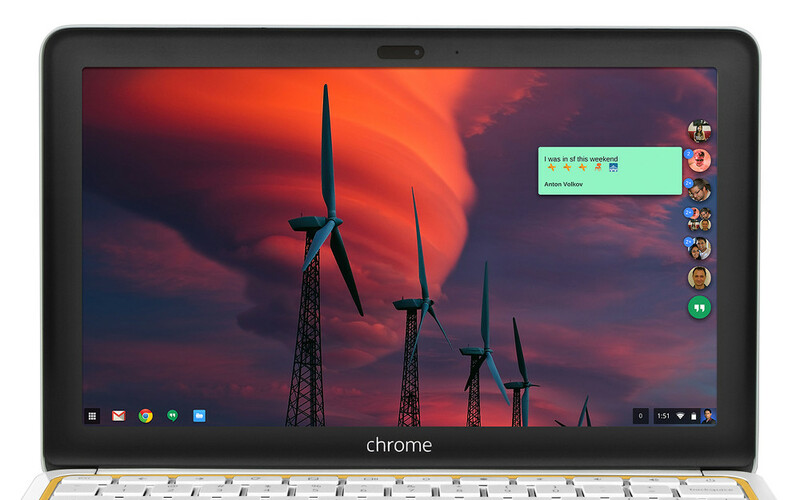 Google released what appears to be a really attractive new Hangouts app for Windows and Chrome OS this morning. Sorry Mac OS X users, you got left out this time. It floats your conversations to the side of your desktop in bubbles, sort of like Facebook’s Chat Heads, keeping them out of the way, but also easily accessible. You will have easy access to your full contact list or currently running conversations with notifications and syncing across all platforms. The app even has full video and voice calling features, all of which is available from your desktop. Looks neat – wish I could test it myself. Have fun, Windows and Chrome OS users!